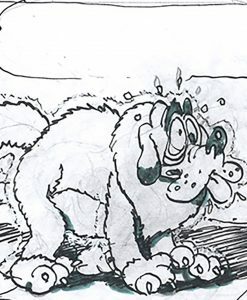 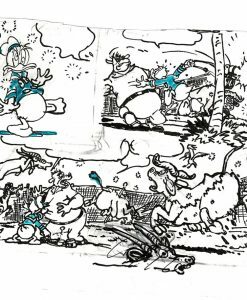 Vicar was an awarded Chilean cartoonist. 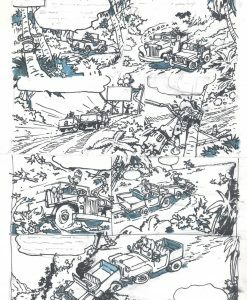 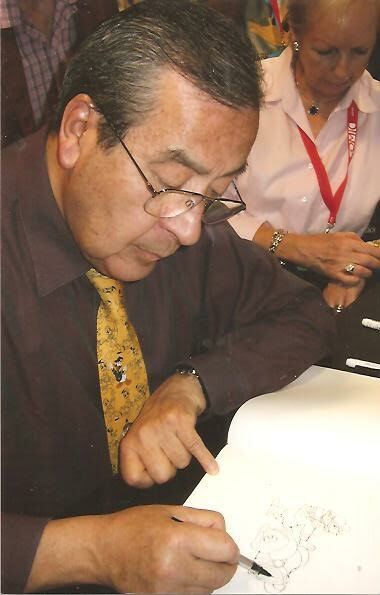 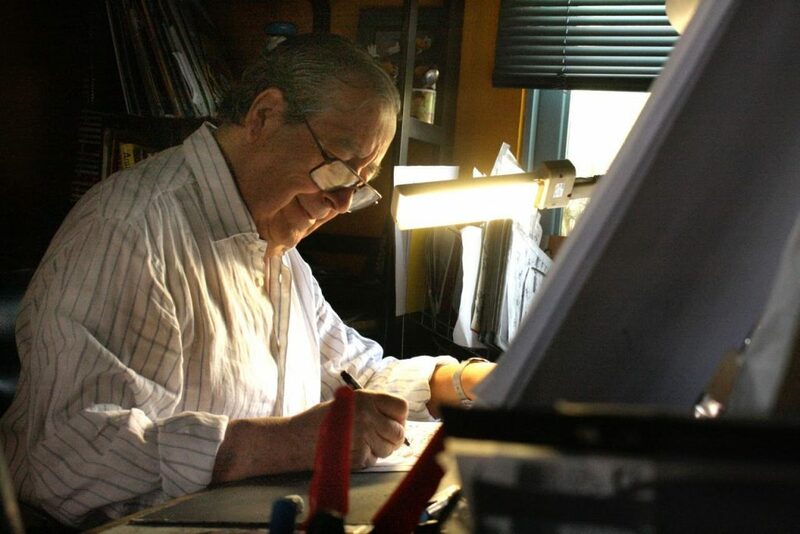 He started his illustrating career in Chile with illustrations, strips and drawings and after moving to Spain in the 60’s, Vicar worked on various illustrating subjects and entered the comics field through Macabich’s Bardon Art agency and Toutain’s Selecciones Ilustradas around 1966. 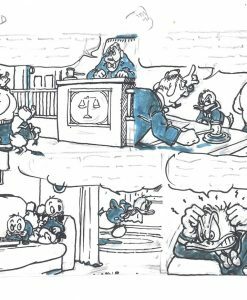 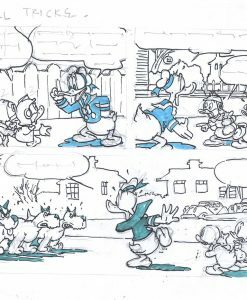 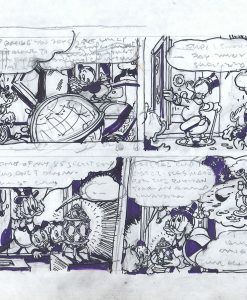 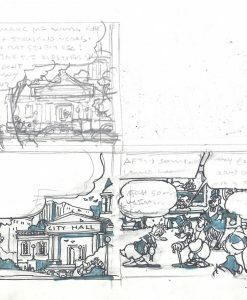 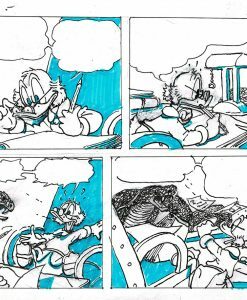 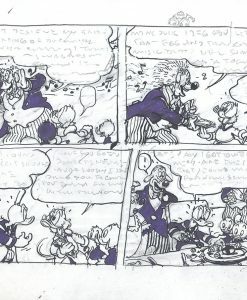 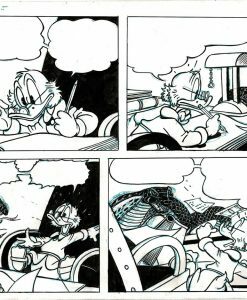 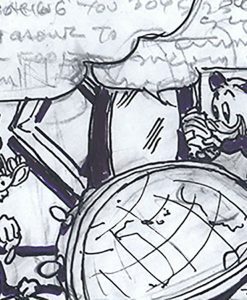 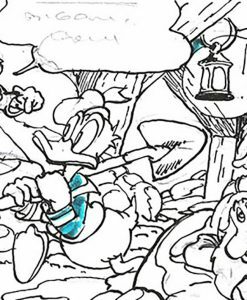 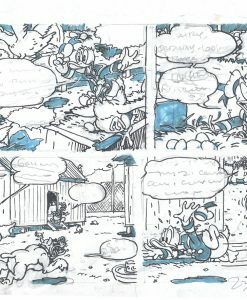 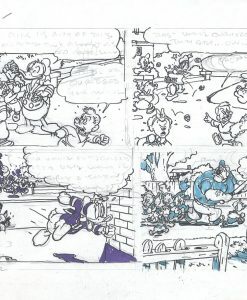 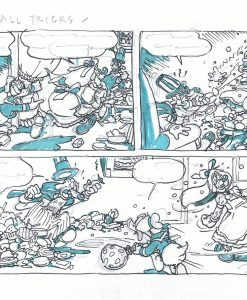 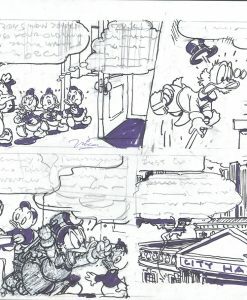 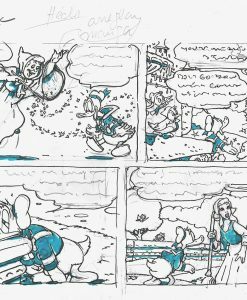 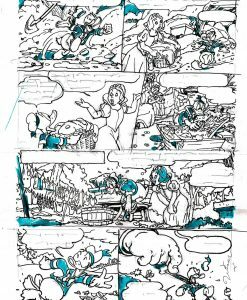 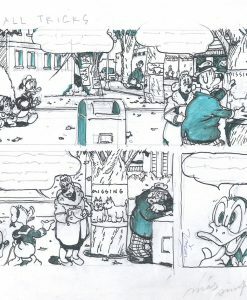 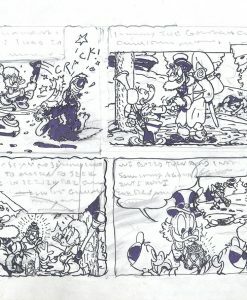 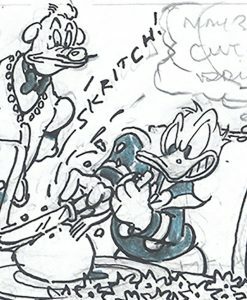 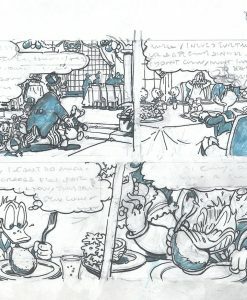 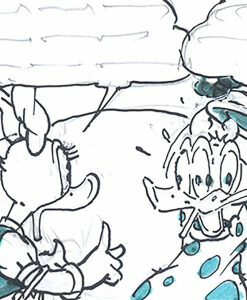 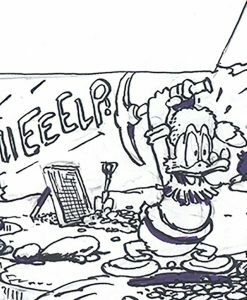 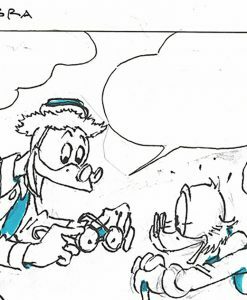 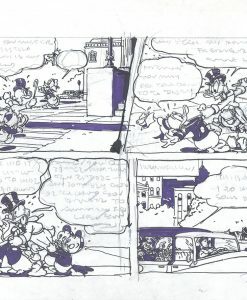 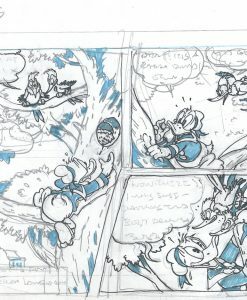 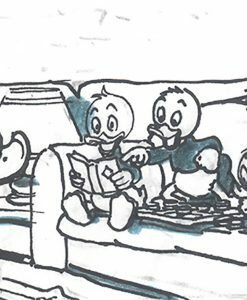 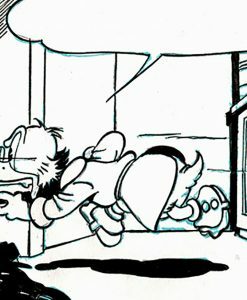 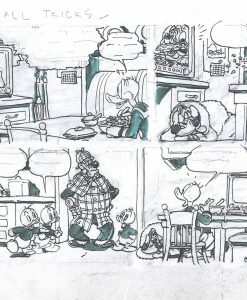 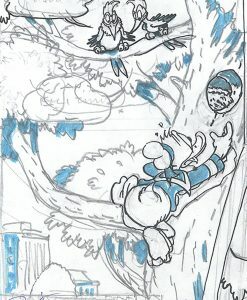 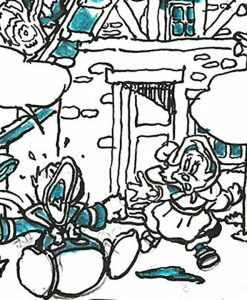 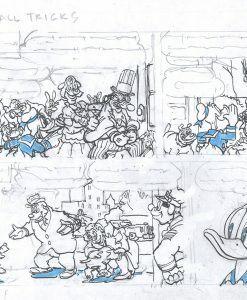 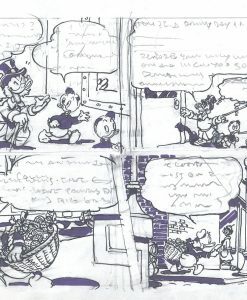 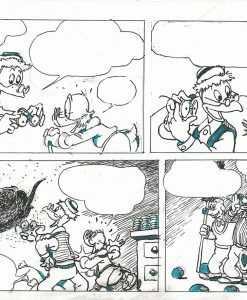 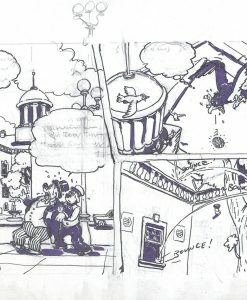 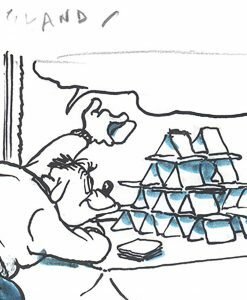 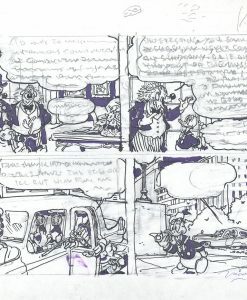 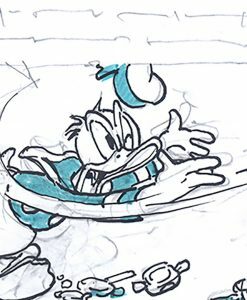 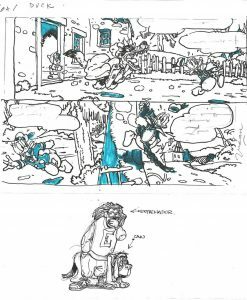 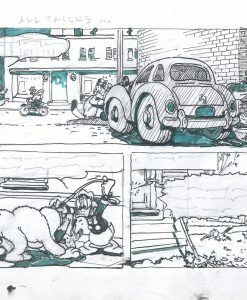 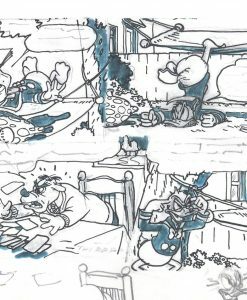 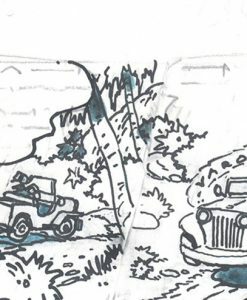 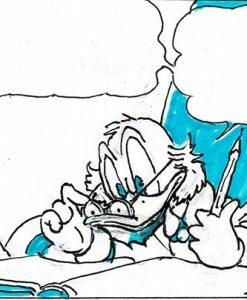 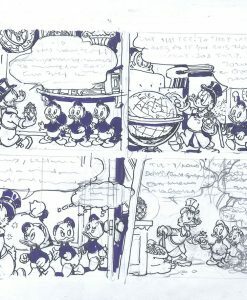 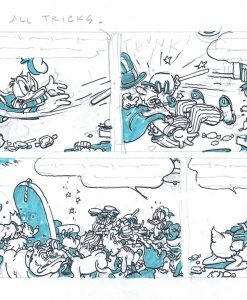 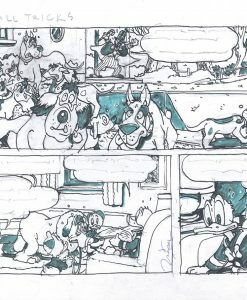 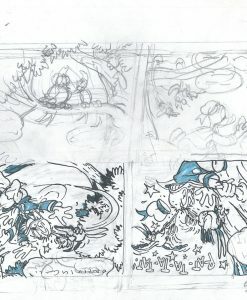 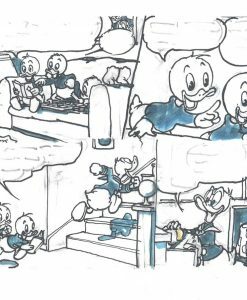 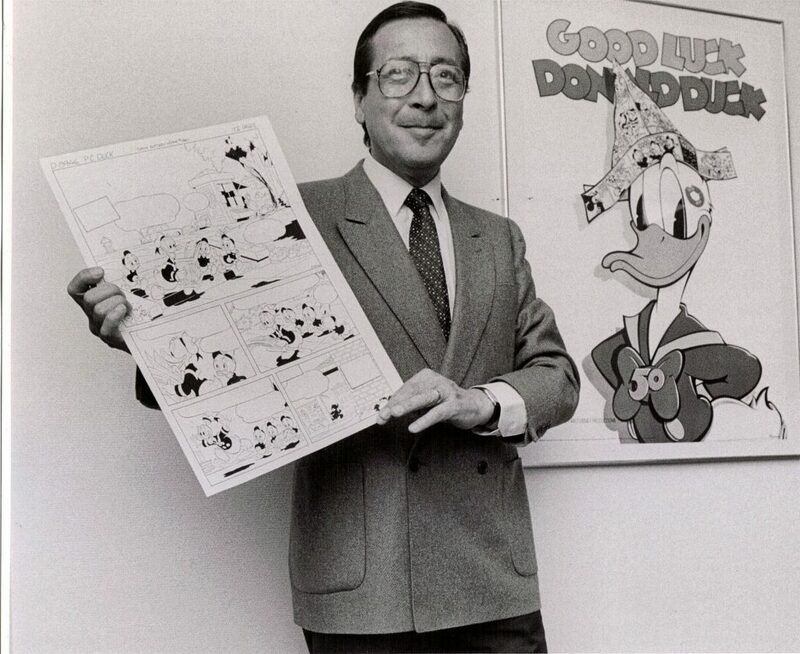 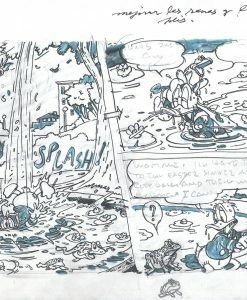 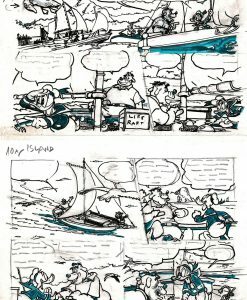 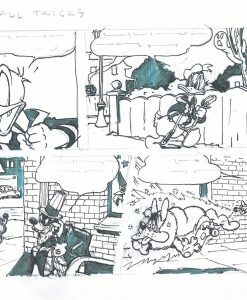 Five years later, he started to draw Disney comics for the Danish publisher Gutenberghus (now the Egmont Group). 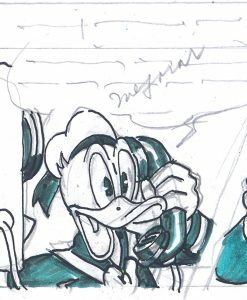 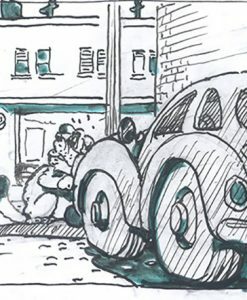 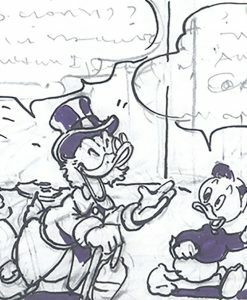 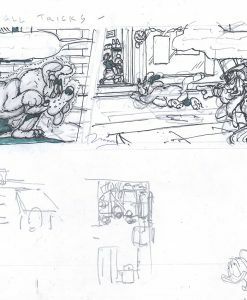 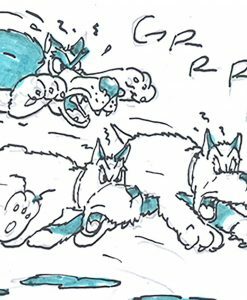 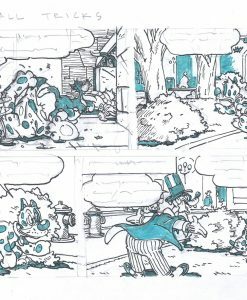 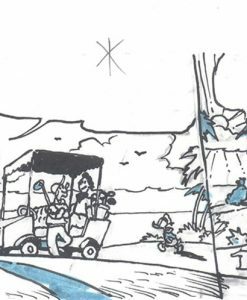 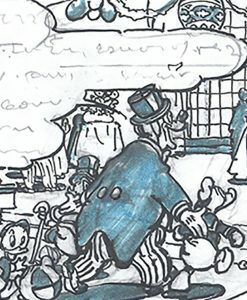 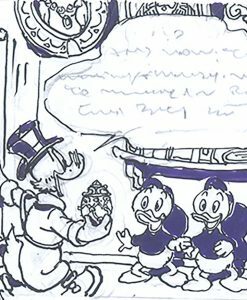 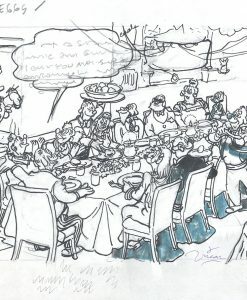 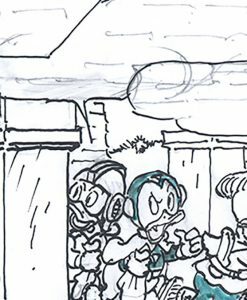 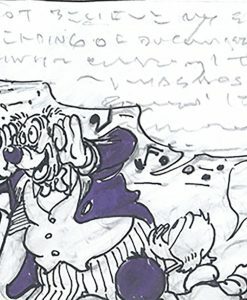 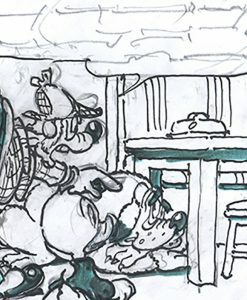 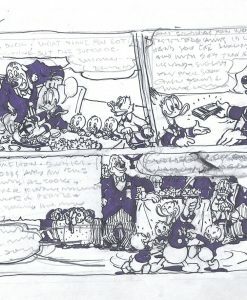 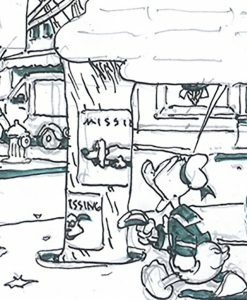 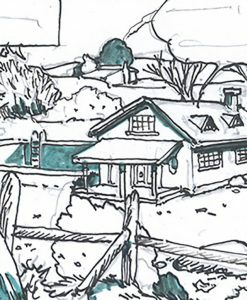 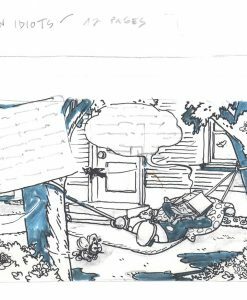 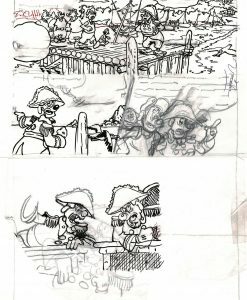 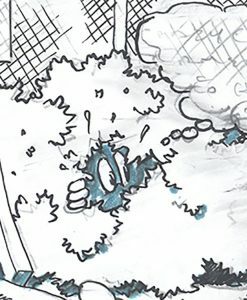 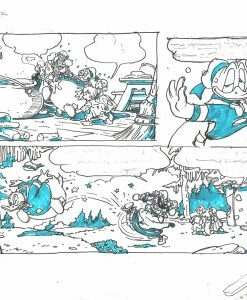 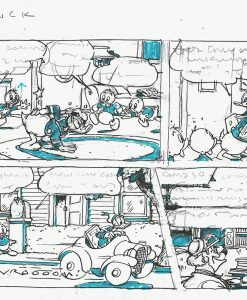 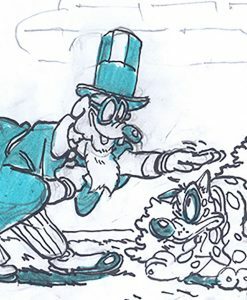 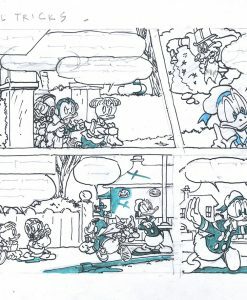 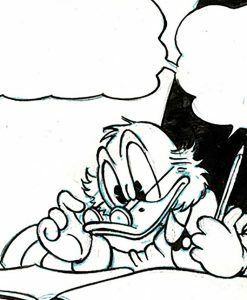 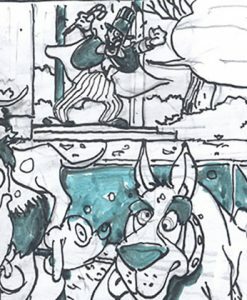 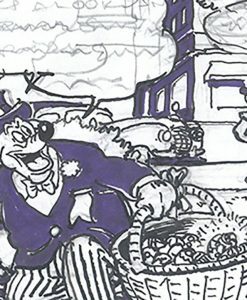 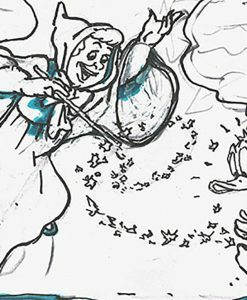 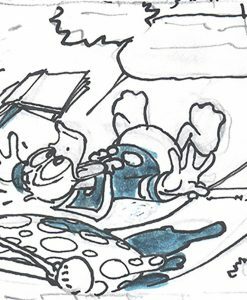 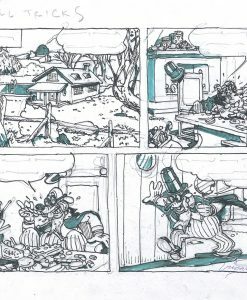 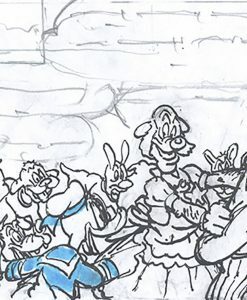 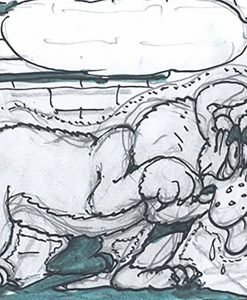 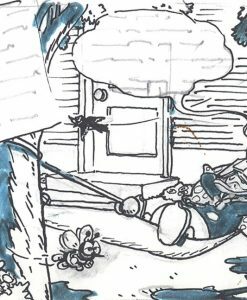 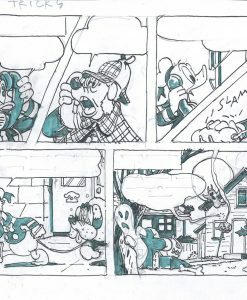 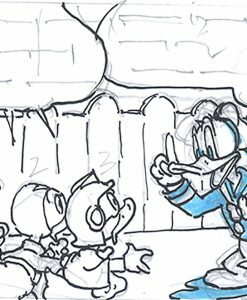 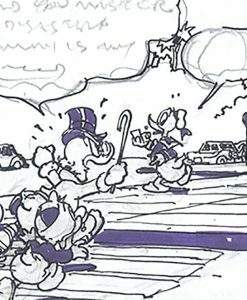 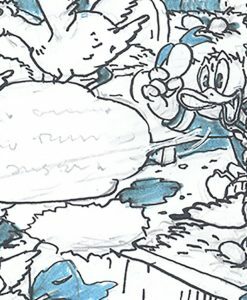 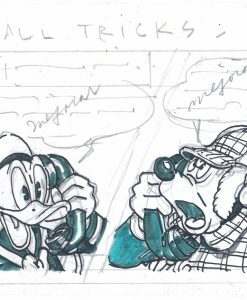 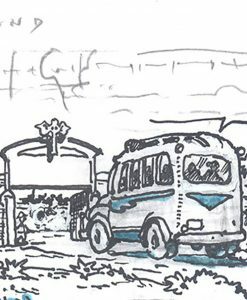 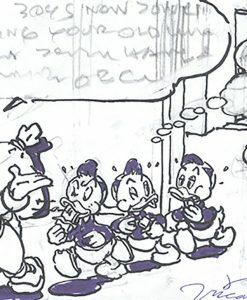 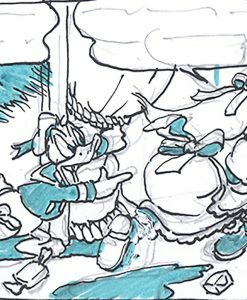 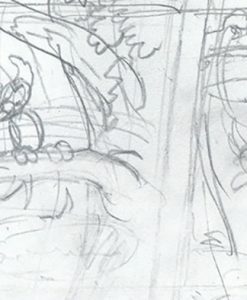 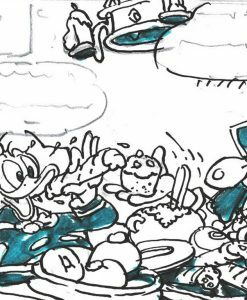 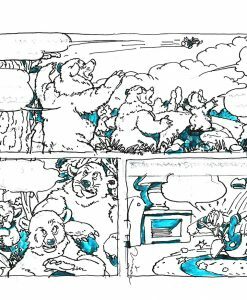 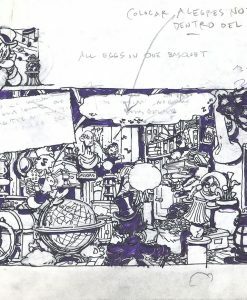 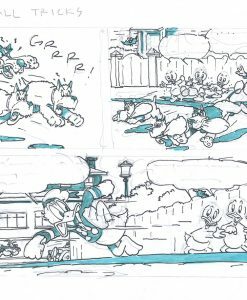 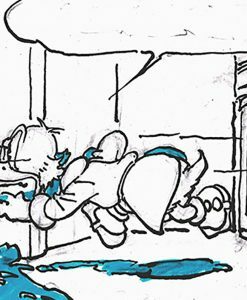 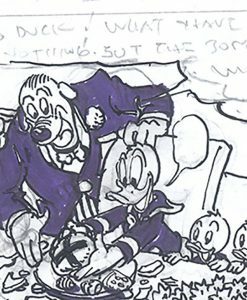 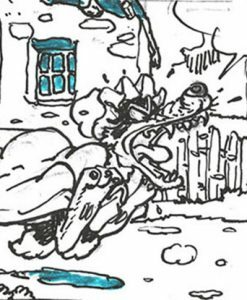 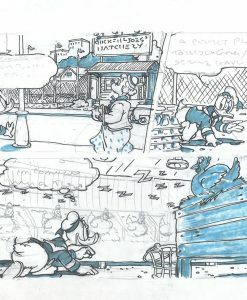 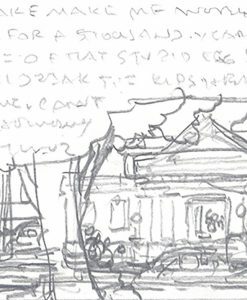 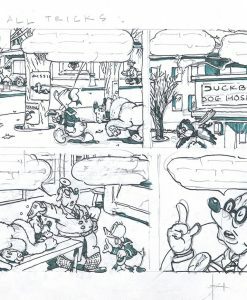 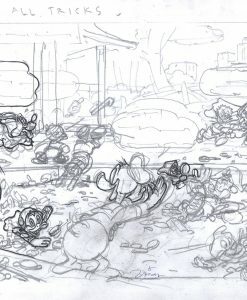 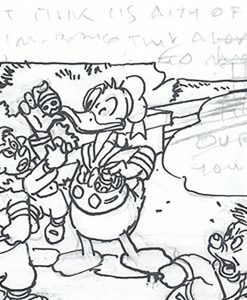 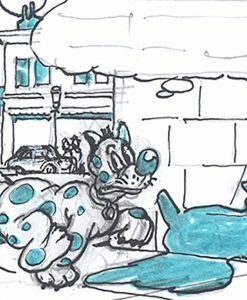 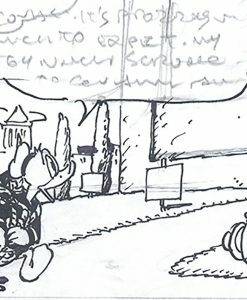 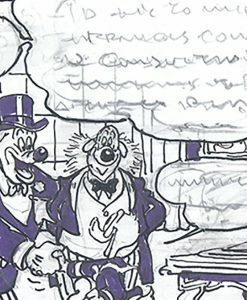 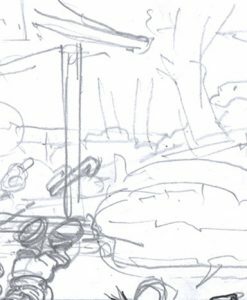 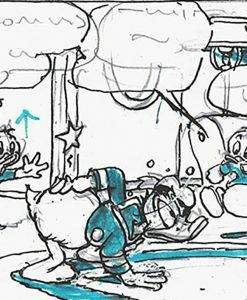 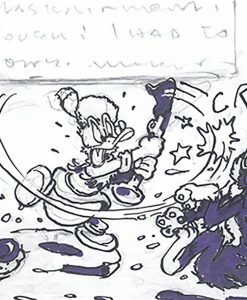 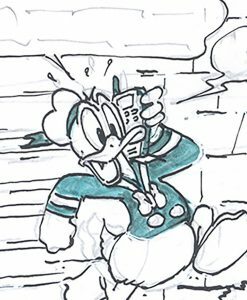 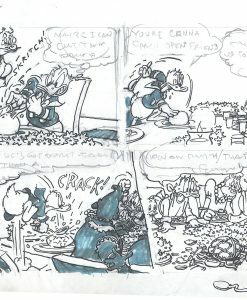 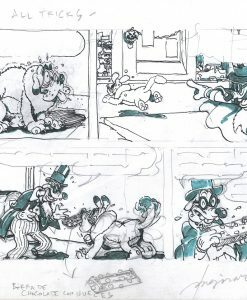 Over the years Vicar’s position in the Disney comic field grew and soon he had his own studio, with several artists and inkers working for him full time. 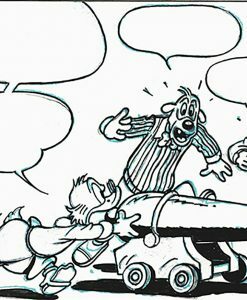 The great Carl Barks met Vicar said: “Oh!! 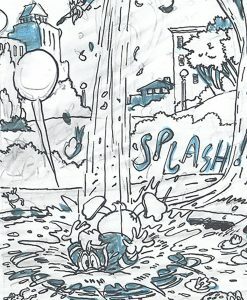 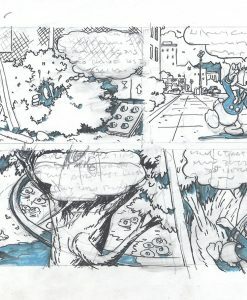 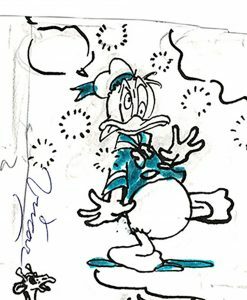 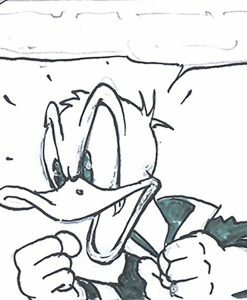 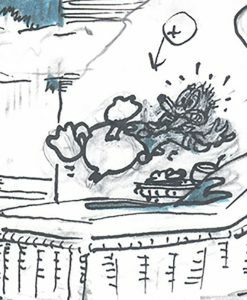 Finally I’m meeting the guy who draws Donald Duck better than me”. 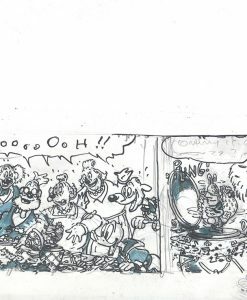 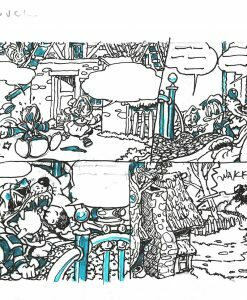 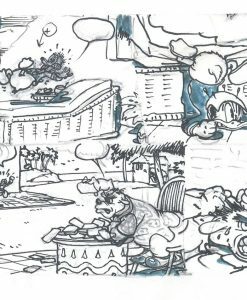 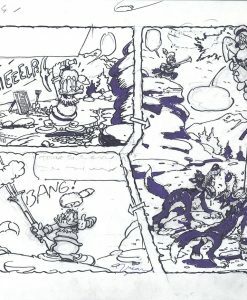 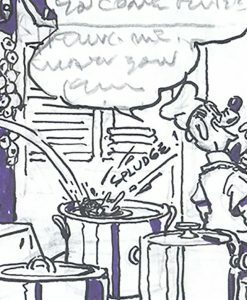 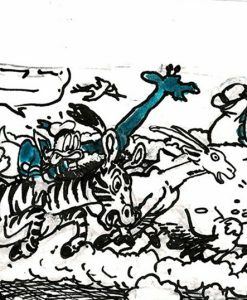 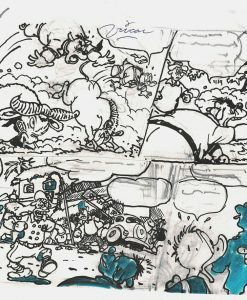 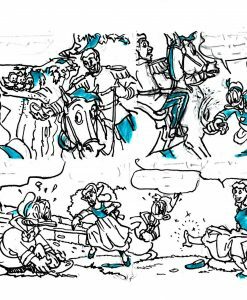 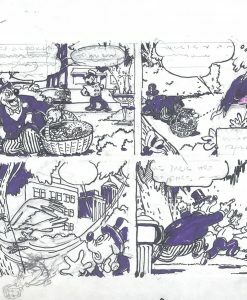 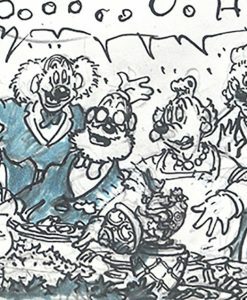 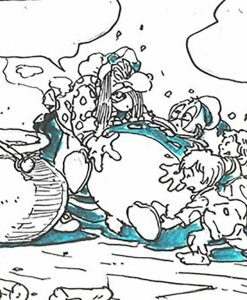 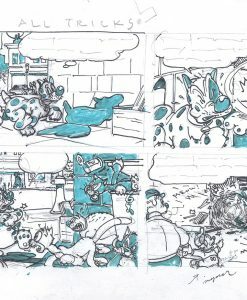 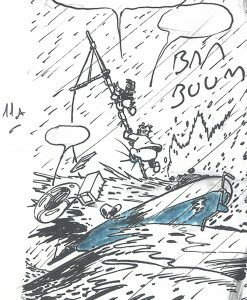 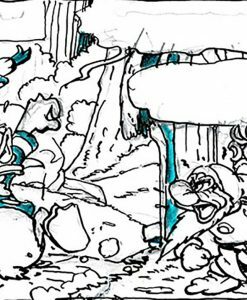 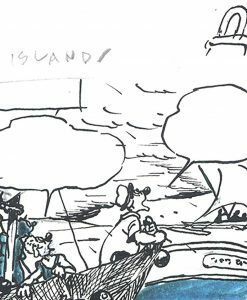 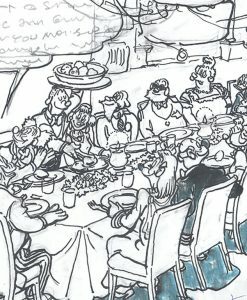 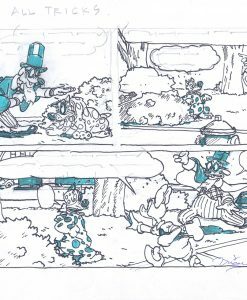 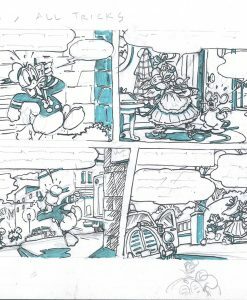 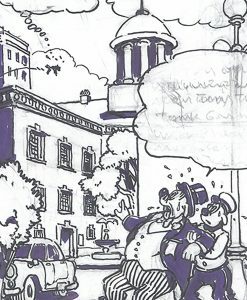 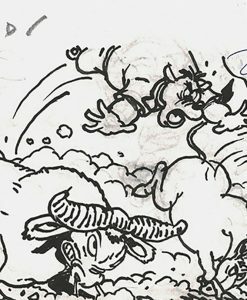 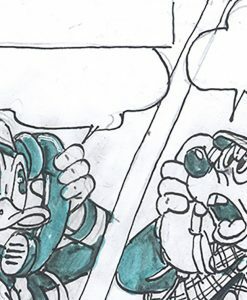 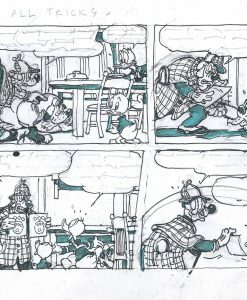 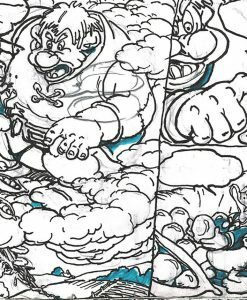 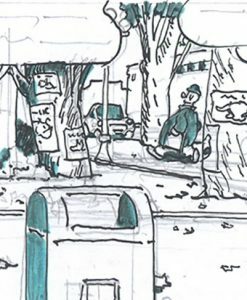 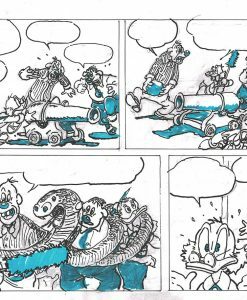 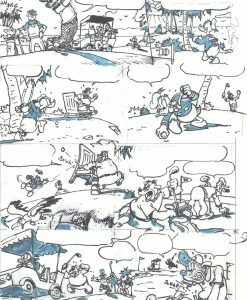 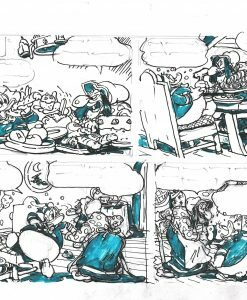 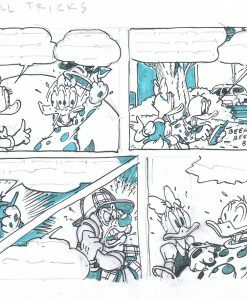 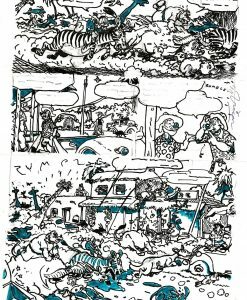 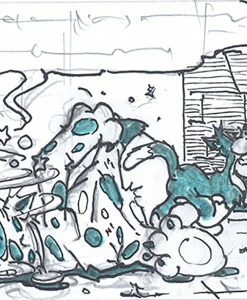 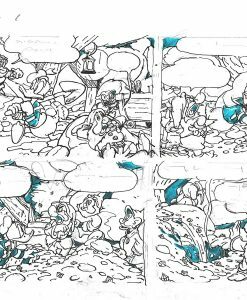 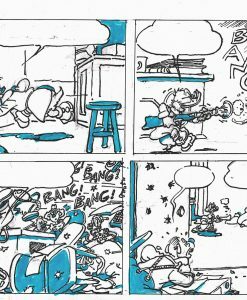 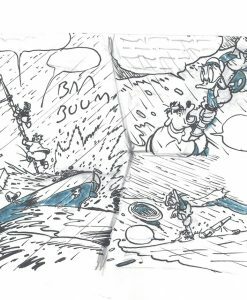 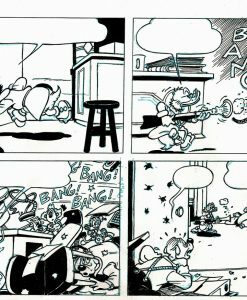 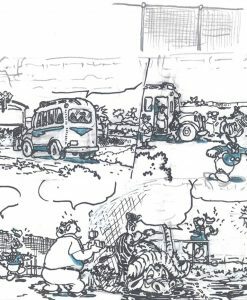 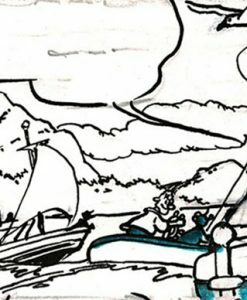 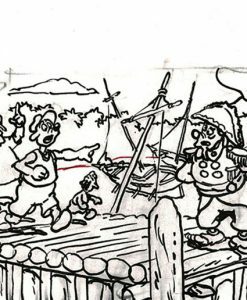 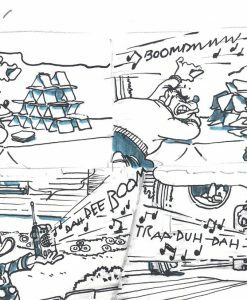 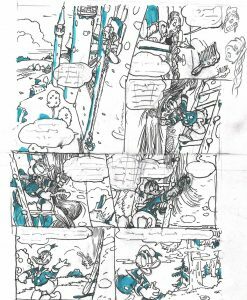 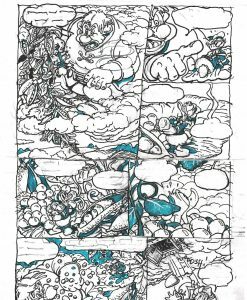 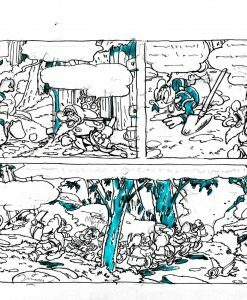 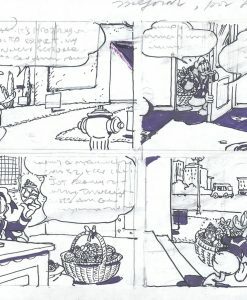 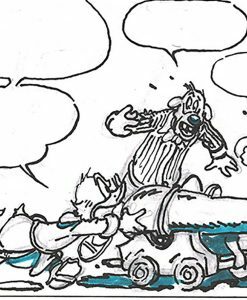 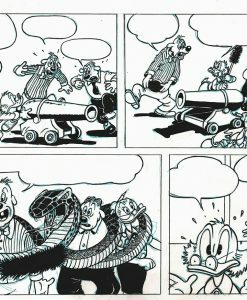 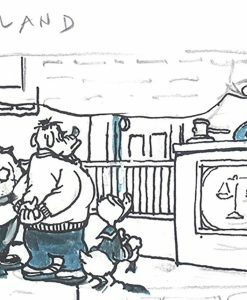 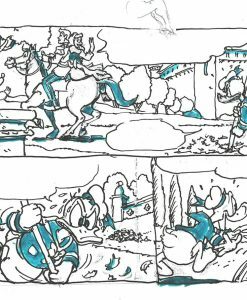 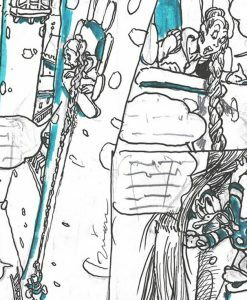 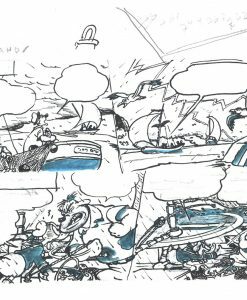 Vicar has been acclaimed by great masters like Uderzo, who drew with him in a legendary story combining characters of both masters. 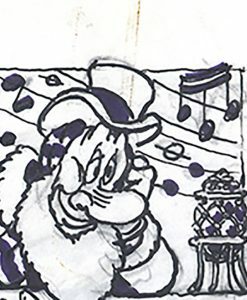 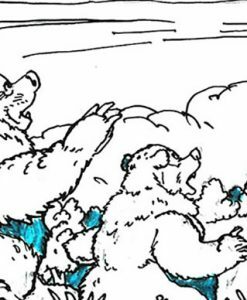 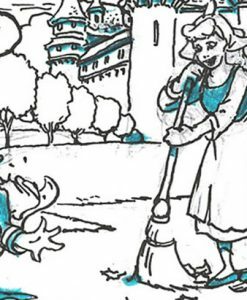 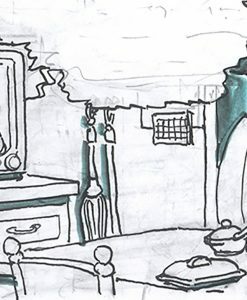 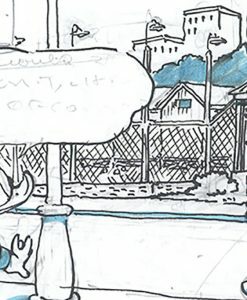 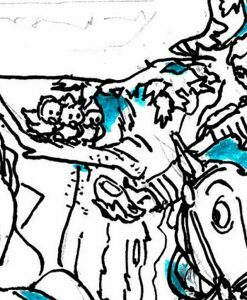 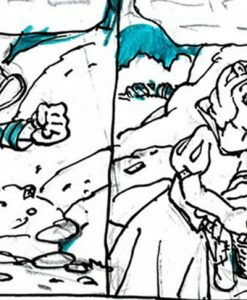 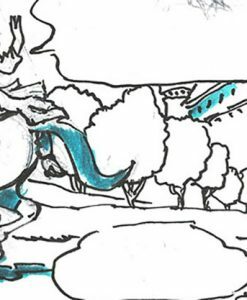 His original Disney artwork is extremely difficult to find.